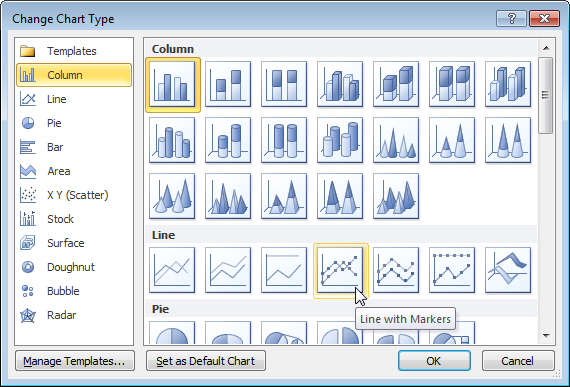 A Pareto chart combines a column chart and a line graph. The Pareto principle states that, for many events, roughly 80% of the effects come from 20% of the causes. 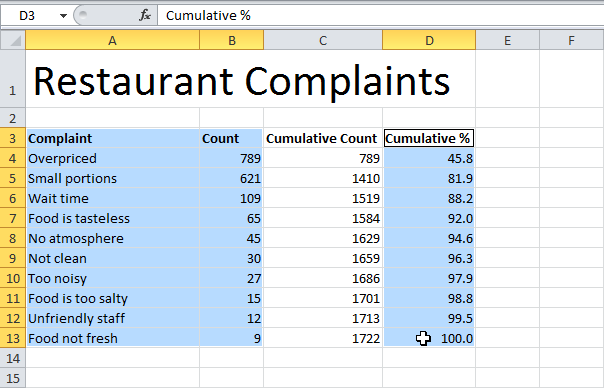 In this example, we will see that 80% of the complaints come from 2 out of 10 (20%) complaint types. 1. 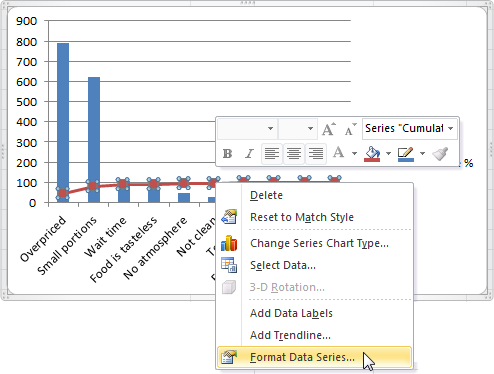 First, sort your data in descending order. To achieve this, click a number, on the Data tab, click ZA. 2. 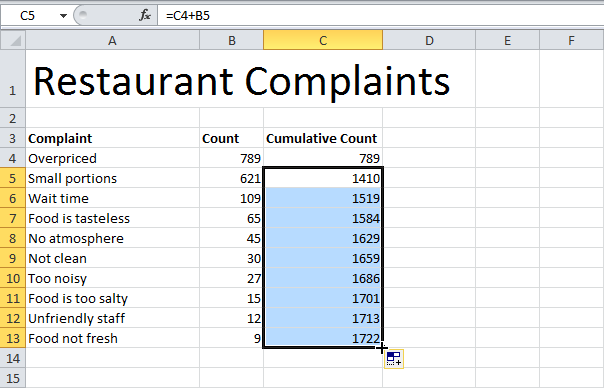 Calculate the cumulative count. Enter the formula shown below into cell C5 and drag the formula down. 3. 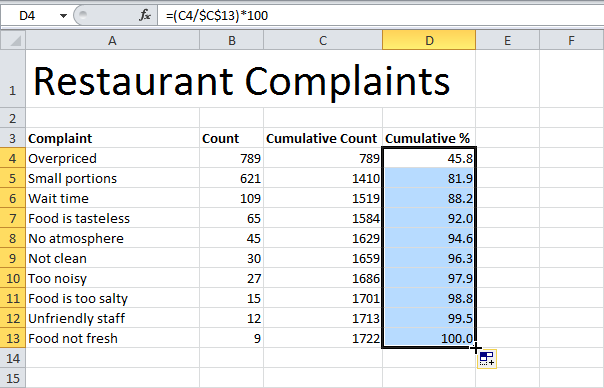 Calculate the cumulative %. 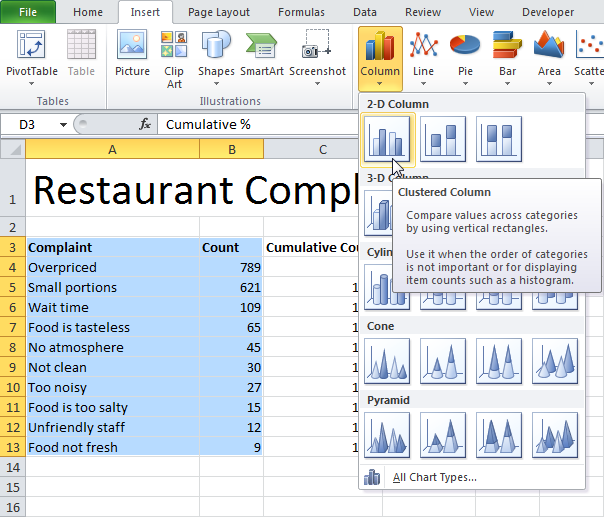 Enter the formula shown below into cell D4 and drag the formula down. Note: Cell C13 contains the total number of complaints. When we drag this formula down, the absolute reference ($C$13) stays the same, while the relative reference (C4) changes to C5, C6, C7, etc. 4. 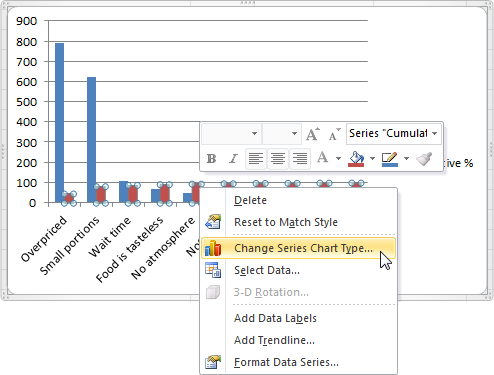 Select the data in column A, B and D. To achieve this, hold down CTRL and select each range. 5. 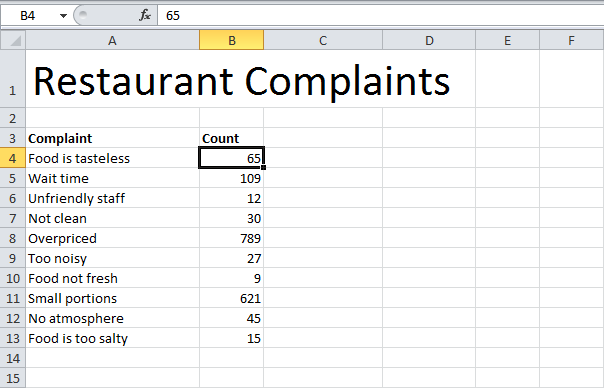 On the Insert tab, click Column and select Clustered Column. 7. 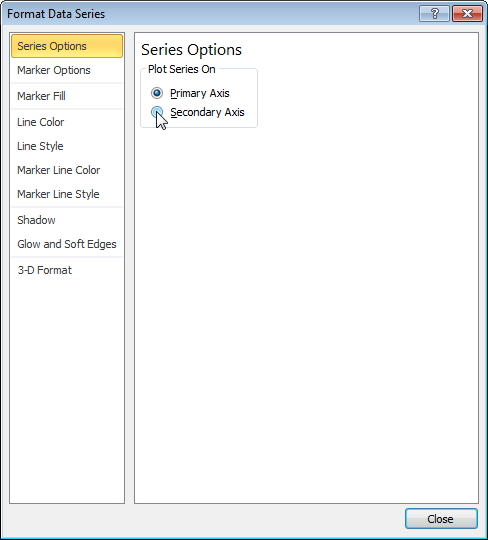 Select Line with Markers. 10. 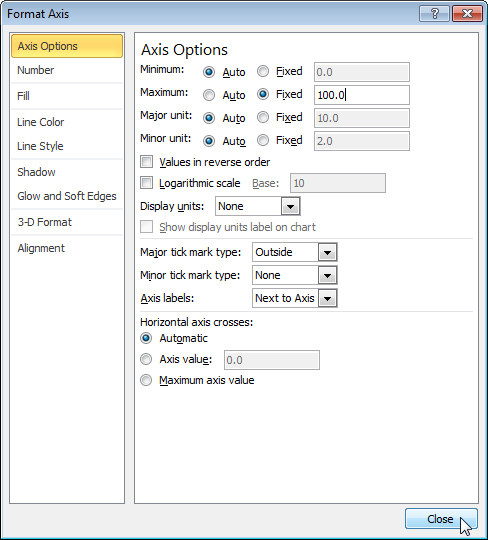 Right click the percentages on the chart, click Format Axis, set the Maximum to 100 and click Close. 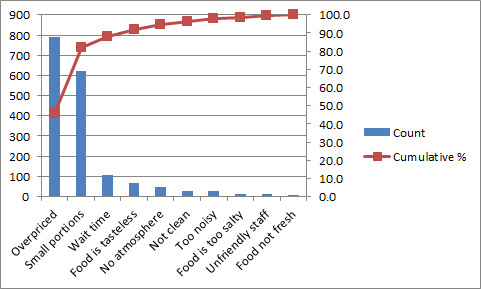 Conclusion: the Pareto chart shows that 80% of the complaints come from 20% of the complaint types (Overpriced and Small portions). In other words: the Pareto principle applies.